ONE-STAR REVIEWS—CAN YOU TRUST THEM? The article is fascinating—and not what I was expecting. From the headline, I was expecting to see research into ulterior motives (like products being slammed by competitors). Rather, I learned a few things about the habits of people who write both positive and negative reviews. And it really makes you question whether we should place so much trust on the opinions of a very small percentage of product users. If you’re going to read Amazon reviews, the article included a few tips to help you utilize them better. The per-page rate is $0.00454 for May, 2018 for books borrowed through Kindle Unlimited and Amazon Prime, which is almost identical to what it was ($0.00456) in April, 2018. The per-page rate has been quite stable this year, very close to $0.0045 each month since January, 2018. The KDP Select Global Fund made a significant jump, climbing to $22.5 million for May, 2018 (compared to $21.2 million for April, 2018). The Kindle Unlimited market is significant. Amazon is on pace to pay $250,000,000 in royalties for KDP Select eBooks borrowed through Kindle Unlimited (and also Amazon Prime, though Prime is far less significant). That’s in addition to All-Star bonuses and whatever Amazon pays the traditionally published books that participate in the program. That’s a significant share of the eBook market, and since many of the books are KDP Select eBooks, this is a fairly indie-friendly market. As a general rule, people who are upset about something are more likely to express their opinions (especially strong opinions). This can make it a challenge to remain positive. But if you want to remain motivated and improve your chances of reaching your long-term goals, you need to stay hopeful. If you do get upset about something, channel your feelings and passion into something productive. Find a way to help it motivate yourself, as some successful authors have done by posting rejection letters on their walls. It’s too easy to get negative. For example, you could look at the total number of books in Kindle Unlimited, or just the massive number added in the last 30 days. But every negative has a positive. Instead of thinking of the large number of books as competition, think of how beneficial this is to help attract readers and keep them in the program (which if Amazon can continue to pay $20M per month in royalties and steadily growing, this is obviously working well). Just like the big mistake that the “foolish” author who bashes the competition makes, similar books really don’t compete against one another. They are really complementary books that can thrive together. Customers read one good book, then want to find similar books. If an author persuades customers not to read similar books, many customers won’t discover that author’s books through those other books. It’s affordable. Many of the books that I read in Kindle Unlimited sell for $5 and up. If I read a mere two books per month, I actually save money. When I’m not super busy with editing my own books, I easily read more than two books per month. Recently, my daughter dragged me into a physical bookstore. I spent more money buying one ordinary novel than it would have cost for my entire monthly subscription to Kindle Unlimited. For the nonfiction and educational books that participate, Kindle Unlimited is a convenient digital library. I wish there was more nonfiction content in the program. My nonfiction books participate, and the amount of nonfiction and educational books in the program is growing. Just imagine if someday, it were more convenient to look something up in a book in Kindle Unlimited than to use a search engine. (With search engines, very often one of the top search results has a nag screen to subscribe to their site. I haven’t even used the site yet to see if it’s worth subscribing to. If it were convenient to look to Kindle Unlimited for the answer, I could bypass some of those nag screens and advertisements, and I would be far less worried about getting a virus or spyware while searching for the answer.) It’s great when Kindle Unlimited has the nonfiction information I’m looking for, and sometimes it does. As an author, I appreciate that each Kindle Unlimited (and Amazon Prime) borrow helps with sales rank (just as much as an ordinary paid sale). Occasionally, a book where sales are starting to taper off sees much extended life through regular borrows. A book with several daily borrows can compete with a book that has several daily sales. I love seeing the number of pages read in my KDP royalty reports. I love knowing that not only did people borrow the book, but they are actually reading much of it, too. 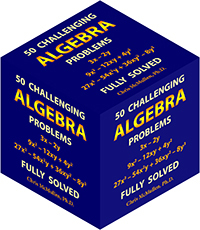 With math workbooks, I sometimes worry that people will start solving problems, but then give up. With Kindle Unlimited, sometimes the page count is a pleasant surprise, and shows me that people really are using my workbooks. Conversely, if you’re not getting many pages read, this provides valuable marketing insight. Either your content isn’t as engaging as it could be, or your cover, description, and marketing are attracting the wrong audience for your book. Try changing things up until you finally get more pages read. As I mentioned earlier, Kindle Unlimited is a very large, fairly indie-friendly market. Of course, with a couple million books to choose from, your book might not be among the popular reads, but the potential is certainly there (and not being among the popular reads is problematic with ordinary sales, too: if you can learn to write engaging content and a few effective marketing strategies, Kindle Unlimited can be helpful). Although I don’t believe that KDP Select books are shown any direct favoritism, there appear to be indirect benefits: sales rank (as I mentioned earlier), the Kindle Unlimited filter (so that Kindle Unlimited customers can quickly find participating books: to these customers, many other books don’t even exist), etc. Is my experience as a reader better with Kindle Unlimited or without it? In my case, it’s much better. It’s affordable, I have fewer books to search through (I use the Kindle Unlimited filter), and I use it avidly. Do I think that the millions of customers who use Kindle Unlimited are better off because of it? For most of them, I do. It’s affordable, it encourages them to read regularly, and if they are wise in searching for books, there is plenty of engaging content to be found. As an author, do I feel that my books are doing better because of Kindle Unlimited than they would be doing if Kindle Unlimited didn’t exist? Absolutely. My Kindle Unlimited royalties themselves aren’t all that significant: I sell more paperbacks, and actually earn more through Kindle sales than through Kindle Unlimited. Yet I’m convinced of several benefits to Kindle Unlimited, like remaining relevant in sales rank through borrows, the fairly indie-friendly readership, and the help that the Kindle Unlimited filter offers in search results. A few years ago, many people said that the KDP Select Global Fund would only temporarily be in the $10 million range, and that it would quickly drop down to the $3 million mark. But instead it has steadily risen, and is now up to $22.5 million. Every time the per-page rate has taken a dip, numerous people have predicted the end of the world, saying that the per-page rate would drop below $0.04 and never return. However, the per-page rate has never dropped below $0.04 in the United States. The couple of times that it has gotten close, it has rebounded. It has fluctuated both up and down several times, it has spent a little time over $0.05, and this year it has been quite stable near $0.045. (Just recently, I read an article about how we’re “lucky” if Kindle pays $0.03 per page read, but that’s a mistake: In the United States, it has never dipped below $0.04 per page.) I’m not saying that it won’t ever drop below $0.04, but several people have been “positive” in the past that it was going to, and that it would never return to its current level, but each time it rose back up instead of falling below this threshold, and we have a couple of years of data now. Kindle Unlimited appears to be doing much better than some “experts” have claimed it would. Sure, it would be great if the Global Fund were $30 million and if the page rate were $0.06. But could Amazon afford to pay that? Let’s remember, Amazon collects a small monthly fee, offers free trials, and lets customers read as much as they want. It’s easy to propose the subscription service of your dreams, but much harder for that service to continue long-term and not go out of business. Amazon has a fairly stable per-page rate, a growing Global Fund, a growing number of participating books, and a subscription service that has lasted for a few years. It appears to be a viable program. Viability is important to me. Because the place on the bottom of the Amazon product page where the Amazon Giveaway option is supposed to be has vanished for Kindle eBooks. It’s still there for print books and many other products, but not for Kindle eBooks. It disappeared about a week ago. If you’ve run an Amazon Giveaway for a Kindle eBook in the past. You can run another Amazon Giveaway for that same Kindle eBook now. Visit your Amazon Giveaways page (that shows all of your active and inactive giveaways). I have this page bookmarked on my web browser; it comes in handy. Otherwise, visit your Orders, choose Digital Orders, and search for a previous giveaway. Then click the button to View/Manage Giveaways. Find a giveaway for a Kindle eBook that you ran in the past. Look for the gray rectangle labeled Copy this Giveaway. I just did this and it worked for me. I already received an email stating that my giveaway is now live. No More Amazon Giveaways for Kindle eBooks? KINDLE EBOOK GIVEAWAYS AT AMAZON—GONE? You can run an Amazon Giveaway for many new products at Amazon.com. Basically, if you scroll down to the bottom of a product page and see an offer to run an Amazon Giveaway for that product, then that product is eligible. Amazon Giveaways used to apply to Kindle eBooks. However, for the past couple of days, I haven’t seen the option to run an Amazon Giveaway for a Kindle eBook at the bottom of product pages for Kindle eBooks. I still see the option available for print books and other new products. I checked the giveaway FAQ’s yesterday, and it still stated that you can run giveaways for Kindle eBooks. Yet I didn’t see the option to do so. Well, I was able to host a giveaway for unclaimed prizes for a previous giveaway. I just couldn’t create a new giveaway for any Kindle eBooks. UPDATE: There is a trick you can use to run a giveaway for a Kindle eBook, if you’ve ever run a giveaway for that same book in the past: https://chrismcmullen.com/2018/06/13/how-to-run-an-amazon-kindle-giveaway/. Has anyone else had a similar problem in the past couple of days? Run an Amazon Giveaway for the print edition, if you have one. Run an Amazon Giveaway for any eligible product. A gift card or popular product can help you generate interest or gain followers. Run a Goodreads Giveaway for the Kindle eBook. The Goodreads Giveaway option is interesting. 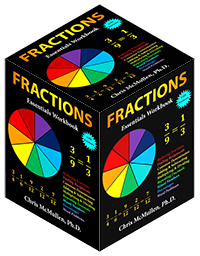 At first it seems expensive, but if you give away 100 copies, the cost per book is reasonable. With an Amazon Giveaway, you can give away just one book, which is an inexpensive way to help generate some interest. You can still do this with a paperback copy, even if the Kindle eBook option isn’t showing. But if you want to give away a large number of copies, like 100 copies, as some authors do, then Goodreads is reasonably priced (especially if your list price is $2.99 or higher). I have published dozens of paperbacks with CreateSpace over the years, and have recently published some books (under pen names) with KDP’s new print-on-demand option. While in many respects the two services are comparable (and both are Amazon companies), there are quite a few little differences. With KDP print, you don’t have to go through the manual file review process before you can order a printed proof. If you know what you’re doing, this saves 12 to 24 hours, but if you have a big mistake in your PDF files, CreateSpace’s manual file review would help to flag the issue before you waste time and money on a printed proof. However, both offer digital proofing tools to help catch mistakes before you order a printed proof. KDP’s version of an interior reviewer is comparable to CreateSpace, but it appears to be friendlier for more web browsers. 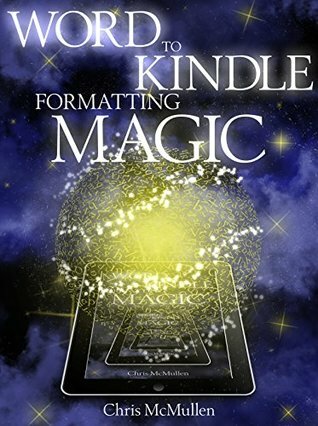 Also, whereas CreateSpace first offers an interior reviewer before file review and then a digital proofer after the file review, KDP print consolidates this into a single digital preview tool (accessible prior to file review). A cool thing about previewing at KDP is that you can preview how your cover looks (back, spine, and front) before going through the file review process. With CreateSpace, you must first go through file review (12 to 24 hours, usually) before seeing the option for the digital proofer. For authors residing in Europe, the most notable difference is that you can have a printed proof shipped from the UK, Germany, France, Spain, or Italy instead of the US if you use KDP print, whereas CreateSpace sends all author proofs from the United States. The KDP printed proof has a not-for-resale watermark on the cover, whereas the CreateSpace proof simply indicates that it is a proof copy on the last page inside the book. A funny thing about KDP is that you must first request the option to purchase a printed proof, then wait for an email to come that will take you to Amazon to order your proof. (Unfortunately, you can’t use Prime to get free shipping.) With CreateSpace, you just click to purchase a proof, without having to wait around for an email to come. KDP print is much more finicky about the spine text, ensuring that it’s at least 0.0625″ from the spine edges. CreateSpace occasionally lets this slide if you’re close, and if you violate this, CreateSpace will often adjust your cover for you. KDP print will almost always make you revise your cover on your own until it meets this requirement to the letter. If you have a book just over 100 pages, you’ll have to really shrink your spine text down to meet this requirement. For a book under 100 pages, it’s a non-issue as spine text isn’t allowed, and for a book with a much larger page count, you should have plenty of space for your spine text. It’s just for books with 100 to 150 pages where this can be tricky. KDP print lets you enter keywords in up to 7 different fields, without imposing a strict limit on the character count (though I would avoid going over 50 characters, including spaces). CreateSpace only lets you enter 5 keywords (or phrases), and each one is restricted to 25 characters (including spaces). KDP print lets you choose two Amazon browse categories, from the same category list that you see when you publish a Kindle eBook. If you publish both paperback and Kindle editions at KDP, this makes it easy to choose the same categories for both editions of your book. CreateSpace only lets you choose a single BISAC category, and the list doesn’t correspond as well with the actual categories that you see at Amazon (though even KDP’s categories don’t match that perfectly). If you contact CreateSpace, you can request to add your book to a second category, but that’s inconvenient, takes time, and may be completely undone if you republish your book (requiring another request later). CreateSpace offers better expanded distribution, but very few self-published books see a significant benefit from this. The main advantage is that CreateSpace automatically distributes to Amazon Canada and pays the same royalty for Canadian sales as for US sales. That’s great if your book happens to sell many copies in Canada, but for many books that sell mainly at Amazon.com (the US site), this is a minor detail. CreateSpace’s expanded distribution includes online bookstores, including Barnes & Noble (online, not physical stores), the Book Depository, and many other websites. Again, this sounds great, as authors are hoping to sell books worldwide, but the reality is that most self-published books sell primarily through Amazon. It’s very unlikely for your self-published book to get stocked by any national bookstore chain simply from the expanded distribution option. You can pretty much count on it NOT happening. Your best bet is to sell a few author copies to local stores that you approach in person with a well-researched press release kit, but expanded distribution really doesn’t affect this. KDP print includes distribution to Amazon Japan (you get to set a royalty specifically for Japan, in addition to European countries), but otherwise CreateSpace offers much wider distribution through expanded distribution channels. According to the KDP help pages, the option to use AMS to advertise KDP books is limited to ebooks. I also contacted KDP support to inquire about this option and was told the same thing. Most authors sell more Kindle ebooks than paperbacks, in which case it would make more sense to advertise the Kindle edition. In that case, it doesn’t matter whether you use KDP or CreateSpace for the paperback edition. However, for the author who sells more paperbacks than ebooks (or for a book that wouldn’t be a good fit for Kindle, like an adult coloring book or a puzzle book), if you would like to advertise your book with AMS, you must use KDP’s print option (not CreateSpace). An alternative is to use Amazon Advantage (but then you would lose the major benefit of print-on-demand). Keep the material current in a dynamic marketplace. With CreateSpace, any changes to your interior file or cover file require going through the file review process, which basically unpublishes your book for 12 to 24 hours (at least: if you run into problems with that and have to go through the process multiple times, your book could be unavailable for sale for days). At KDP, it works much like it does when you republish a Kindle ebook: You go through file review when you click the yellow Publish Your Paperback Book button. If you pass the file review, the new files simply override the old ones. In my experience, the Look Inside usually becomes available almost instantly with KDP print, whereas this often takes days at CreateSpace. It can vary considerably at CreateSpace: I’ve rarely seen it same day (or nearly so), and have occasionally seen it take well over a week. If you’re launching your book with a strong marketing push, that Look Inside can be a valuable sales tool. I want it to be available as soon as possible. KDP print has the advantage here. If you set it up properly from your KDP bookshelf, you will already have your paperback and ebook editions linked together on your bookshelf so that KDP “knows” that the two editions go together. Linking should be quick and easy at KDP. If you publish the paperback with CreateSpace and the ebook with KDP, you must wait up to 72 hours for the two editions to automatically link together. Supposedly, if the title, subtitle, and author fields match exactly in spelling and punctuation, they will link automatically, but it does take time. Recently, I’ve had a problem with the editions not linking at all, and having to contact KDP support after 72 hours to request the link (perhaps my problem has occurred when I use my own imprint name and ISBN with CreateSpace). CreateSpace paperbacks will show “CreateSpace Independent Publishing Platform” under the publisher name at Amazon. KDP print paperbacks will show “Independently Published” under the publisher name at Amazon. Maybe many customers won’t notice the name in the publishing field, but CreateSpace has a little advantage here. There are millions of self-published authors. If you count their family members, friends, coworkers, and acquaintances, you will find several million customers who support self-published books. How do you find a self-published book to read? One way is to include the word “CreateSpace” (without the quotes) along with other keywords in a search at Amazon. There are customers who do this (I’ve discovered a number of books myself with this very method, even when I’m really shopping for a Kindle ebook, since I can find the Kindle edition from the paperback product page). KDP print’s “Independently Published” sounds much more vague. If you have a small sample size, you may experience statistical anomalies, making one service seeming much better or worse than the other. I’ve ordered thousands of author copies from CreateSpace over the years (often over a thousand copies per year), so I’m very experienced with what to expect in terms of quality and typical variations at CreateSpace. I haven’t ordered nearly as many copies from KDP print, but so far the quality is comparable. List prices and royalties are the same (except that CreateSpace distributes to Canada and pays US royalties for Canadian sales). KDP wins in terms of convenience. 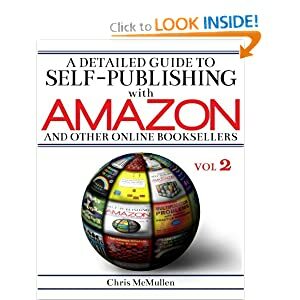 After you publish one edition (paperback or Kindle), when you add the second edition to the same title on your bookshelf (instead of adding a brand new book), it automatically populates the title, author name, description, keywords, and categories. You also see the royalties for both editions on your KDP reporting pages, instead of monitoring paperback and ebook royalties from two different websites (with two different accounts). 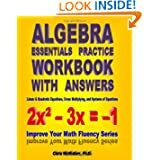 Author of the Improve Your Math Fluency series of workbooks and self-publishing guides.